It starts about two hours before The Rolling Stones come onstage - hordes of people, normally milling around merrily, are now purposefully heading towards the Pyramid Stage. By the time Mick, Keith, Charlie and Ronnie appear, the crowd has swelled to fill the entire field - backs to the food stalls and all. It starts about two hours before The Rolling Stones come onstage – hordes of people, normally milling around merrily, are now purposefully heading towards the Pyramid Stage. By the time Mick, Keith, Charlie and Ronnie appear, the crowd has swelled to fill the entire field – backs to the food stalls and all. As the Stones launch into “Jumpin’ Jack Flash”, the response from the audience is huge, but swiftly followed by calls of “turn it up”: once again, the volume at a major gig is too low. Luckily, the sound improves, though that isn’t the only surprise of the night – for their fifth song, the group debut an acoustic country-folk song, “Glastonbury Girl”, which Mick Jagger claims to have written last night after being inspired at the Shangri-La area (or being inspired after listening to “Factory Girl”, more like). It features the immortal couplet “waiting for a girl/her wellies are bright green”, but thankfully is soon followed by an extended version of “Can’t You Hear Me Knocking”, featuring a velvet-jacketed Mick Taylor churning out some inspired guitar solos. During “Sympathy For The Devil”, flame spits from the roof of the stage as a giant mechanical bird unfurls – the Stones really don’t do things by halves. They leave the stage for a disconcertingly long time, before the London Youth Choir appear for the intro to “You Can’t Always Get What You Want”. “Satisfaction” ends the set, the slightly depleted audience going crazy for both the song and the fireworks that close the show. Of course, there’s little danger in a Stones show nowadays – they’re consummate professionals after all, and some of their arrangements are disappointingly polite – which seems a strange fit with Glastonbury’s more ragged, relaxed atmosphere, and like most 135-minute sets we could have done without a few songs (for me, “Doom And Gloom” and “Miss You”), but the sheer weight of their near-peerless back catalogue makes the gig a success – with Mick Taylor’s guest appearances a real highlight for fans. Visit our new, dedicated features section, with plenty of our best long pieces archived there. You can find it here. 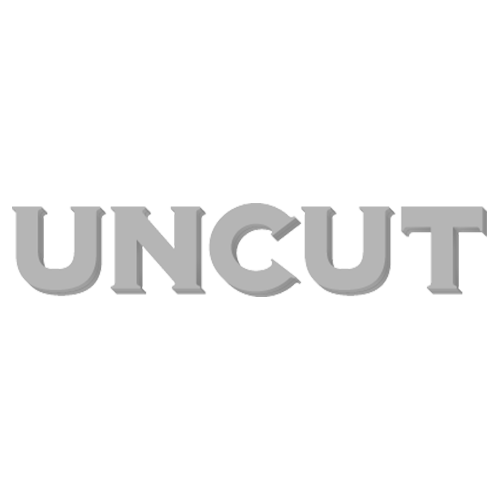 Uncut is now available as a digital edition! Download here on your iPad/iPhone and here on your Kindle Fire or Nook.